I used to be a massive fan of home and interiors magazines. I would buy them simply to swoon over the pictures and gather ideas for my own home projects. These days I turn to social media for the swooning and last year I started my very own home series where I interview someone about their home and share some stunning pictures with you. Today I’m pleased to share the home of Jess Soothill. 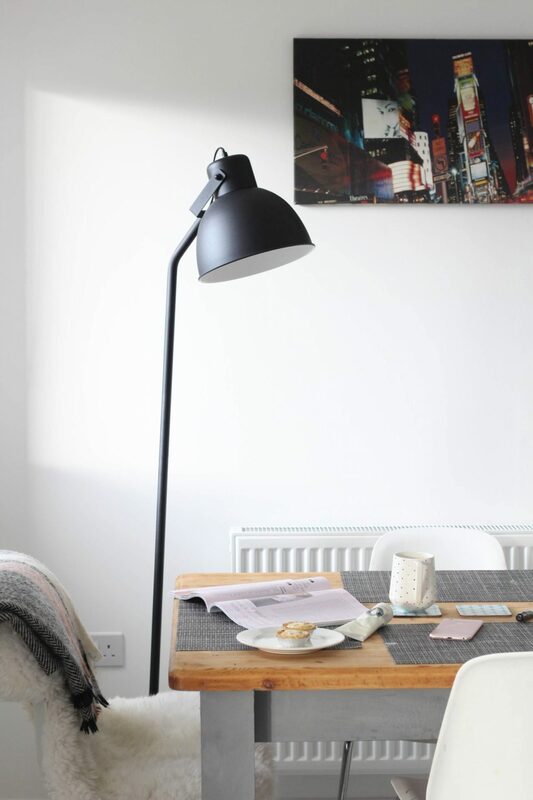 Jess’ home is a new build which lends itself so well to the fresh, contemporary look that I’m also a fan of. 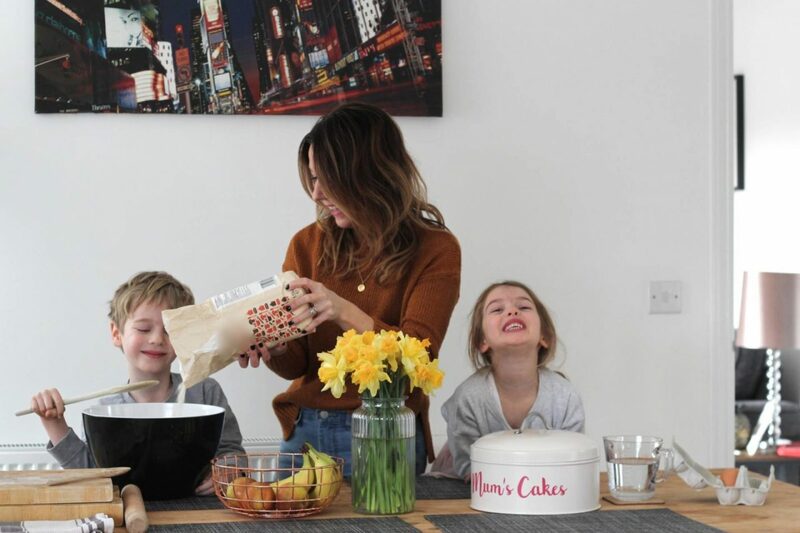 It’s a real blank canvas that Jess has personalised and made homely by adding fur throws, large leafy house plants and colourful prints – yes to all of this! Shall we take a peek inside her home? Myself, Hubby (Dave), Harry and Lottie our 5 year old twins. We live in a new-build family home in Worcestershire. We moved here 3-years ago from North Wales due to relocating for my Hubby’s work. It was tough moving away from our parents and friends but we wanted to be together all week and not have Dave travelling so much. We bought a new build house due to not wanting another renovation project again (we had done this for the last two homes and the twins were only little this time) and also for the ease of moving. As it was brand new it was very clean and tidy! It was a completely blank canvas. I loved how clean the kitchen and bathrooms were! I also liked that we could pick all of our tiles, kitchen and flooring etc before we moved in and so it felt really bespoke for us. 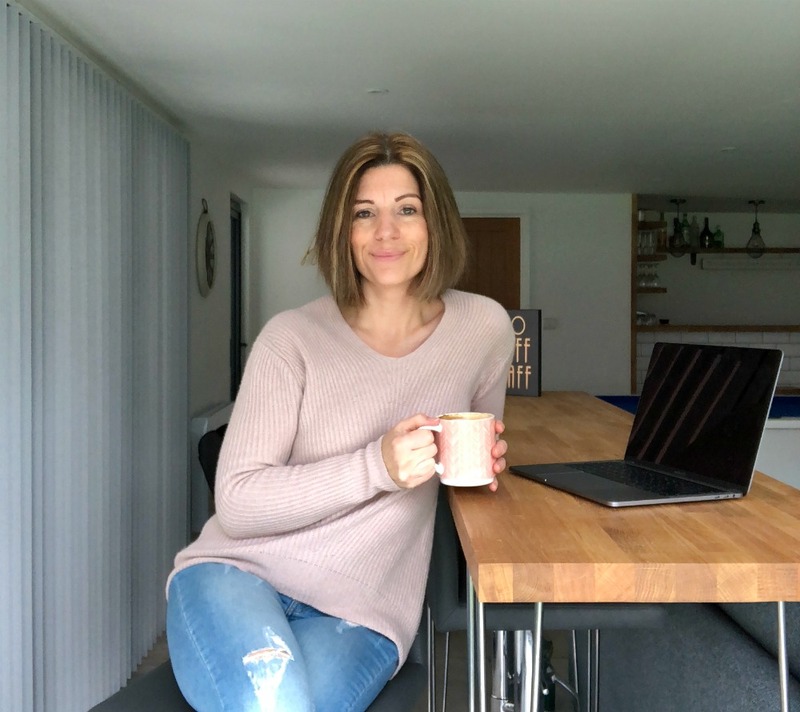 No – as it’s a new-build home there’s been absolutely nothing for us to do, which has been nice as we have spent most of our relationship together working on a house at the weekends! We’ve only had to paint rooms and add in accessories such as blinds and shelving etc. Dave did landscape the garden last last summer though and added a patio and vegetable patch which has made that space really lovely. 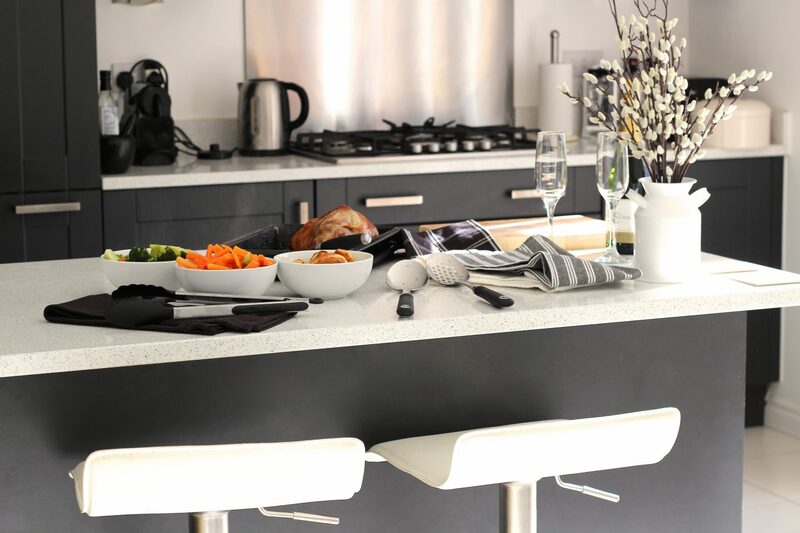 The kitchen is amazing — it’s a kitchen/diner and it means that we can all spend time in it together; it’s the central hub of our home. 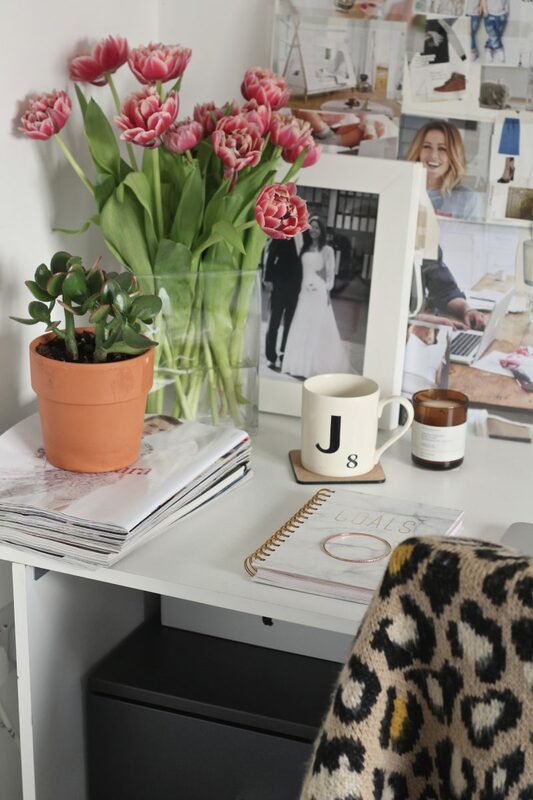 Then my office is my next favourite place as I love to write my blog and spend time in there. It’s got all my little accessories, decor and girly prints in it. It’s been hard to style and furnish a new-build home, actually. You’d think that it would be really easy and simple, but with no features or character to work with it’s hard creating your own style. I have struggled with that. I went very contemporary when we moved but actually it hasn’t felt that homely for our little family. Adding in wooden furniture, natural textures, plants and soft furnishings lately has helped me to create more of a homely style. What is the next home project that we can look forward to seeing? I am going to be sharing my spring/summer updates, as well as some little decorating projects that I have planned. I get bored easily and so I like to move things around a lot! I love the high street and get a lot of my home decor from there. I’m always adding in new things when trends come out, and like to share that on my blog. Well I for one can’t wait to get some spring/summer ideas for my home. 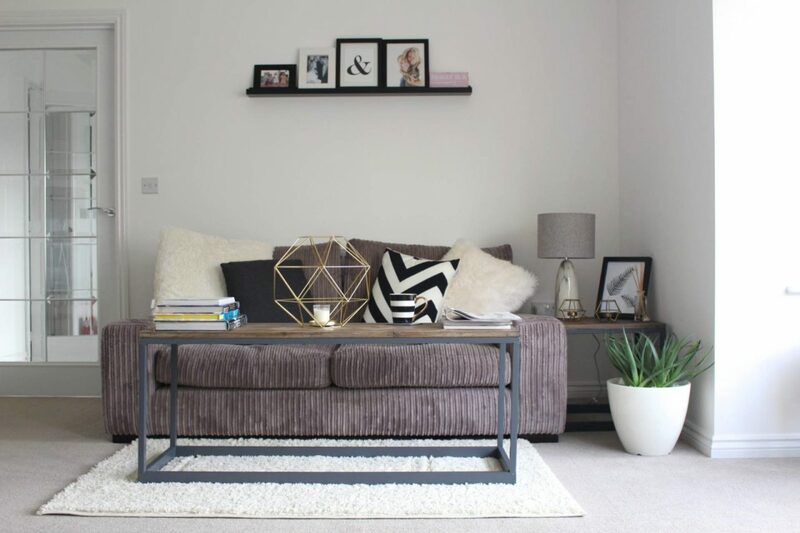 Jess’ Instagram feed is awash with stunning home pics as well as gorgeous fashion shots, so do go and check her out. 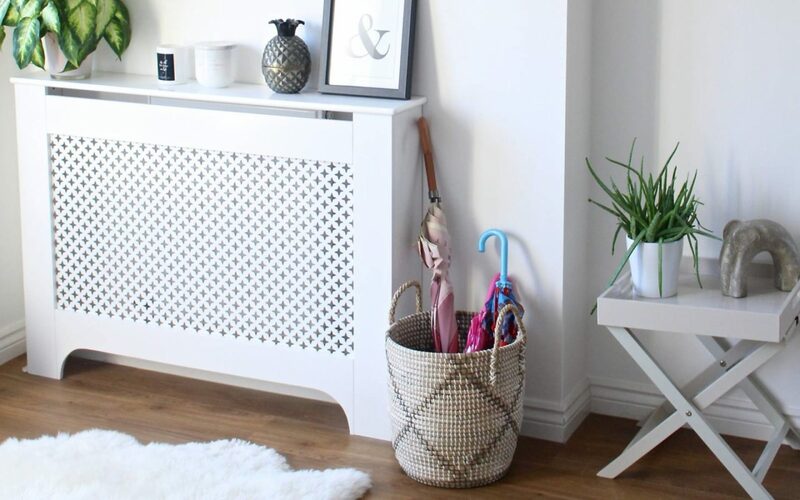 If you want to keep up with her blog and gain some ideas for your home then go, go, go! 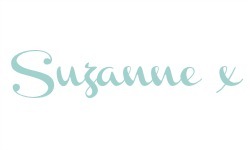 She’s also a huge fan of Pinterest and Facebook so head over there for some fashion, home and lifestyle inspiration. Yes her hallway is so inviting isn’t it? Love the addition of plants to freshen it up and give it that homely feel. Jess has the most beautiful home! 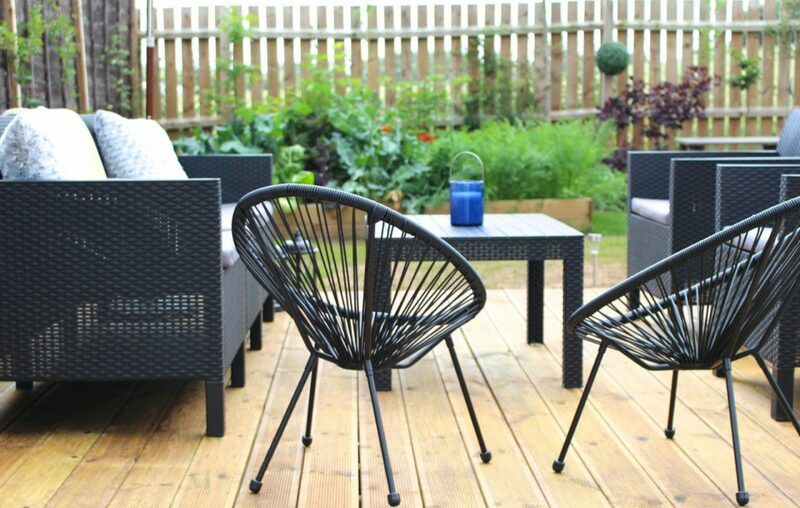 Especially love her kitchen and garden furniture. We’ve just had an offer accepted on a hose that needs to be completely redecorated so I’m getting very interested in homes and interiors at the moment. We moved into a new build home too (almost a decade ago now) and I still fel I haven’t really made it ‘ours’. 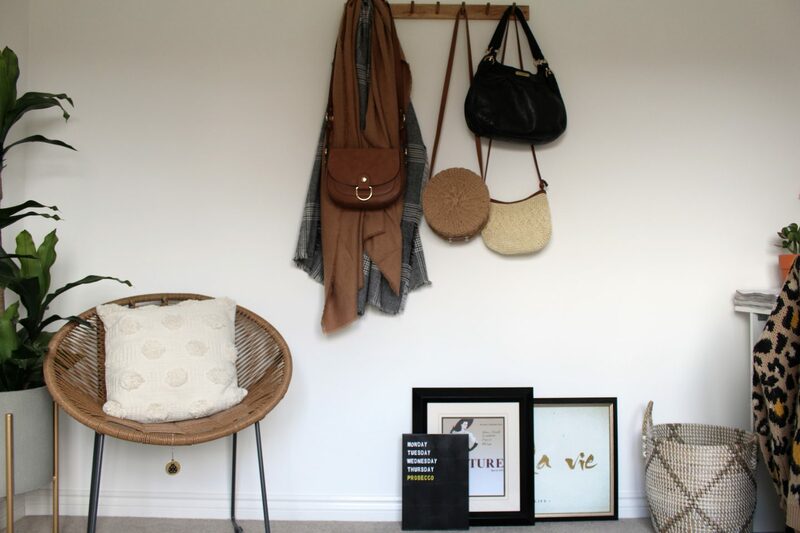 Jess’ home is lovely – it’s definitely homely and has a great mixture of calm, clean and textures that I really love. Oh Jess has such lovely style doesn’t she? I could look at her home and pictures all day long! Your home Jess, is so so beautiful. I see your style goes from wardrobe to interiors so perfectly girl. One fashionista !!! I would kill for the light in your house too. It’s so bright and breezy. Thanks for sharing Jess home with all of us Suz it’s stunning.